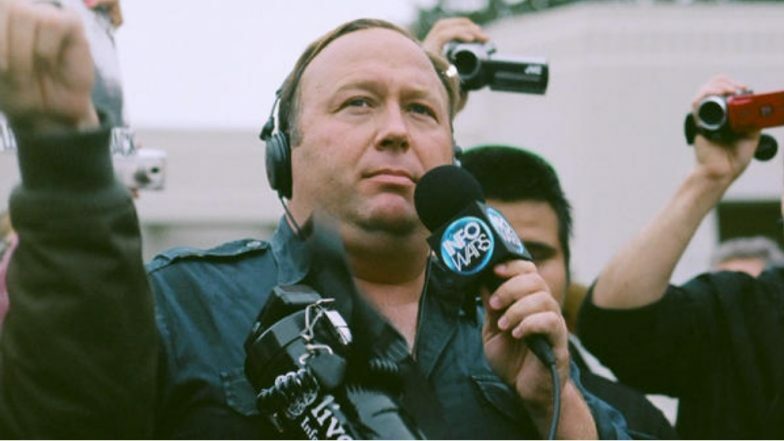 San Francisco, April 12: Google-owned video sharing platform YouTube is being heavily criticised for hosting controversial conspiracy theorist Alex Jones, who is banned from several major social networking platforms for his offensive posts, on a two-hour long podcast episode accessible to its 1.8 billion global users. Eight months after being banned from YouTube itself, Jones returned to the platform for Internet-famed Logan Paul's podcast called "Impaulsive", where he discussed conspiracy theories and questionable information on sensitive subjects like autism, The Verge reported on Thursday. Now the platform is being accused of being unwise for giving a notorious theorist space in a show which is accessable by impressionable minors as well. "Logan Paul, a YouTube meathead who recently mocked suicide victims and has 18 million teenage subscribers, is hosting far right conspiracy theorist Alex Jones on his podcast today. This is how radicalisation happens online," free speech activiist, Nathan Bernard wrote on Twitter. Alex Jones US Conspiracy Theorist Banned Over Abusive Behaviour by Twitter. While Paul has nearly 19 million subscribers of himself, his podcast "Impulsive" is subscribed by 1.4 million people. Since YouTube projects to be working hard on combating the spread of such content on its platform, Jones' appearance on a famous show has put the video sharing platform in a problematic spot. The episode already managed to gather 330,873 views and 5,599 comments on the platform, however the episode does not come with any context-providing information boxes about the show. "YouTube may have taken action restricting this episode of Paul's podcast. The episode isn't running with any ads, the video also doesn't appear on YouTube's front page, nor does it appear on its trending section, which means YouTube may have limited its promotional reach," the report said. By last October, tech majors including Google-owned YouTube, Apple, Facebook, Spotify and Twitter either removed or restricted Jones' activities on their platforms for promoting hate speech and abusive comments on transgenders, Muslims, immigrants and other sensitive subjects. YouTube along with its community guidelines that do not actually prohibit banned users from appearing on other channels are being roasted on the Internet.